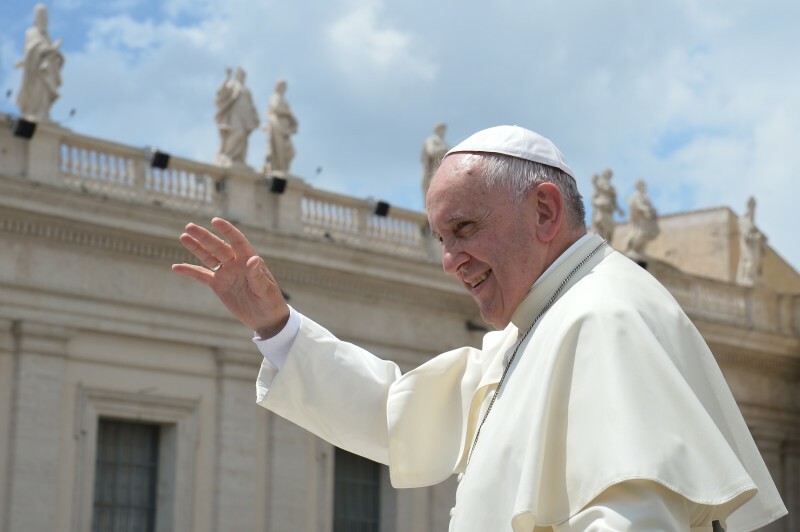 "Those who possess more resources and economic or political power seem mostly to be concerned with masking the problems or concealing their symptoms," Francis wrote of the impact of climate change in the encyclical titled "Laudato Si," or "Praise Be." He called on humanity to collectively acknowledge a "sense of responsibility for our fellow men and women upon which all civil society is founded." And he wrote that climate change "represents one of the principal challenges facing humanity in our day." Francis said that developing countries, as the biggest producers of harmful greenhouse gasses, owe the poorer nations a debt. "The developed countries ought to help pay this debt by significantly limiting their consumption of nonrenewable energy and by assisting poorer countries to support policies and programs of sustainable development." In one particularly blunt passage, Francis writes: "The earth, our home, is beginning to look more and more like an immense pile of filth. In many parts of the planet, the elderly lament that once beautiful landscapes are now covered with rubbish. ... Frequently no measures are taken until after people's health has been irreversibly affected." The letter has put the pope firmly on the side of the world's climate scientists, an overwhelming number of whom say that the Earth is warming and that mankind is responsible for a substantial portion of the temperature rise. As we reported on Wednesday, that also places him at odds with "climate skeptics," including many Republican lawmakers and GOP presidential candidates. However, the encyclical is being praised by environmental groups. In a statement from WWF International, President Yolanda Kakabadse called the pope's voice "a much needed moral approach to the climate debate. Climate change is no longer just a scientific issue; it is increasingly a moral and ethical one." Vincent Miller, who holds a chair in Catholic theology and culture at the University of Dayton, is quoted by The New York Times as saying that the encyclical "gives Francis a very traditional basis to argue for the inclusion of environmental concern at the center of Christian faith. "Critics will say the church can't teach policy, the church can't teach politics," Miller said. "And Francis is saying, 'No, these things are at the core of the church's teaching.' "